Conflict victims losing hope of justice from CIEDP - Integration Through Media ....! 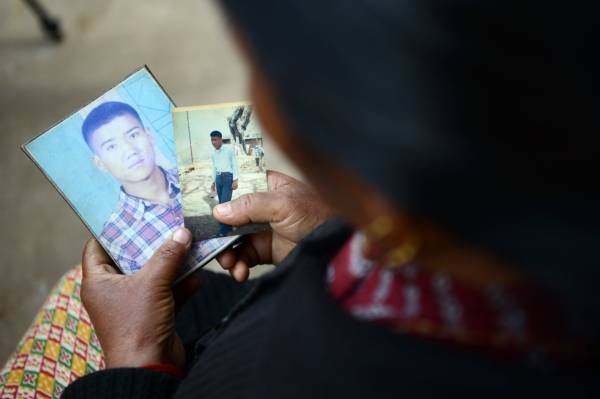 Kalika Khadka, KATHMANDU: Over a decade since the end of the armed conflict in the country, the conflict victims, for not sensing any relief, are losing hope of justice from the transitional justice mechanism. The conflict victims’ families began losing hope and patience as well that the Commission for Investigation of Enforced Disappeared Persons (CIEDP) would ensure the whereabouts of their disappeared relatives and cater justice. It has been 17 years the whereabouts still unknown of Binod Kumar Chaudhary, husband of Krishni Chaudhary of Kailali-8. With the formation of the CIEDP, Krishni had placed high hope that it would take initiative to search her husband. “Seventeen years passed since the disappearance of my husband. I waited for his return. Now, I don’t believe the CIEDP will search him,” she shared the plight. She further said her struggle for justice wasted her time and energy, resulting in children’s deprivation of proper schooling and employment. Like Chaudhary, hope for justice faded in Sunita Pathak from Banke. Her sister gone disappeared since the past 15 years has not returned home. “I continuously struggled running from pillars to posts for such long time, but in vain,” she wailed. These are some stories how the conflict victim families have turned hopeless of the justice mechanism. There are many such stories of plight. In this connection, the CIEDP has received a total of 3,927 complaints. But, the CIEDP has not been able to trace anything on disappearance. First the formation of the CIEDP was delayed and the after formation too, it failed to work up to the mark on various reasons.